I don't mean that I don't believe in them but to live in a medieval town where they have been countless sightings is rather unnerving. In fact, I chanced upon a book about that very topic only to flip to the page where there have been reports about the *ahem* haunting the at very bookstore I was in. So anyway.....there's a point in this long winded explanation. 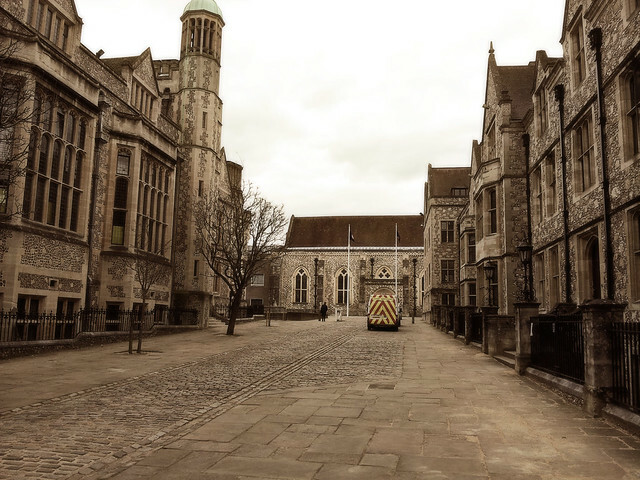 I met up with a couple of good friends over the weekend and one of them mentioned that one of the two buildings in the photo above is haunted. It is in fact, written in every employee's contract that it is strictly forbidden to work late. In this case, ignorance is bliss...........!! Riiiiight, let's move along lest I scare myself s**tless writing this post. I stumbled upon the antique market which is held every so often on High St. I've always been strangely drawn to French style furniture but the trouble is, they're prohibitively expensive in New Zealand. Perhaps it's a product of reading Peter Mayle's A Year in Provence. And hubby's style, unfortunately, is polar opposites to mine. Modern, sharp edges..... pfffffft. A friend of mine suggested that I tap into the infinite YouTube videos from Khan Academy, a not for profit organization which change the way we educate children. His stuff is a lifesaver. Salman Khan, a former hedge fund analyst started these videos as a supplement to his tutorials for his cousins but his popularity grew and grew and grew. He teaches math, science (from Year 1 to adult), history and finance in such an entertaining, creative and easy to understand manner that the kids don't even know that they're studying. I'm generally a calm chameleon but have a tendency to metamorphose into a fire breathing dragon when helping Lil L with her homework. So yup, using these videos help keep the home from turning into a battleground. I love little towns like that, if I don't end up retired in the south of France, a little English town it is. Will be looking at the Khan Academy later this evening. Anything which drives anything in to my most reluctant student son's head. Told you - separated at birth from you! I am mean MOM when I am doing homework. I practically combust sometimes with the effort and I surprise even myself at my impatience. Who would have thought such a mild mannered lady would turn into maniac banshee mom when trying to teach maths! And I get spooked easily too! lovely market! where is it located? Hi Stephanie, the market's in Hampshire but they move around from town to town every week. so cool! :) I love going to Alfie's for a browse too. speaking of which I should pop by soon. Such stunning photographs. 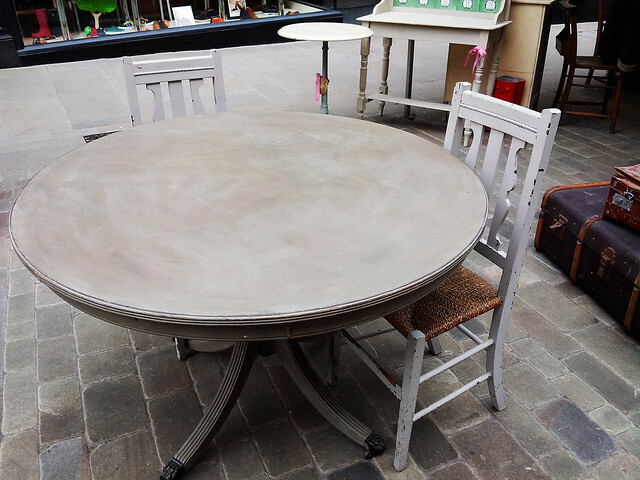 That antique market looks fabulous - I too love old French furniture (and yep, hubby also likes minimalist clean lines .. snort!) As for homework ... I swear, I morph into the very Devil when it comes to homework. The only good news is (for those of you with littler ones than me - mine's now 12) ... it does get better and easier as they get older! Thank you for the feedback especially coming from a teacher. Much appreciated. Oh I've never heard of Khan Academy but am so glad you mentioned it. Just last week I was about to teach my kids all the colours of the rainbow when gasp, realised I couldn't remember them myself. Who knows what kind of mess I'll be in when it actually comes time to helping them with homework. I can't believe the employees contracts state they are forbidden to stay late! How incredible, this writing of ghosts into contracts makes them all the more tangible. I'm a scardy cat at heart so when I read that one of the buildings in your pic was haunted I couldn't look at it anymore lest I saw something out of the norm. Hope your week is off to a great start. those buildings are gorgeous! we have quite a number of "haunted" places in sydney too, ghost tours are something of a tourist attraction in those parts.. I'm not going to lie ghost towns scare me quite a bit. One of my closet childhood friends is enrolled at a prestigious medical school and they have been quietly doing some research on paranormal activity, out of body experiences, near death experiences and kids who have had past lives. We can't talk about it because I get so freaked out! 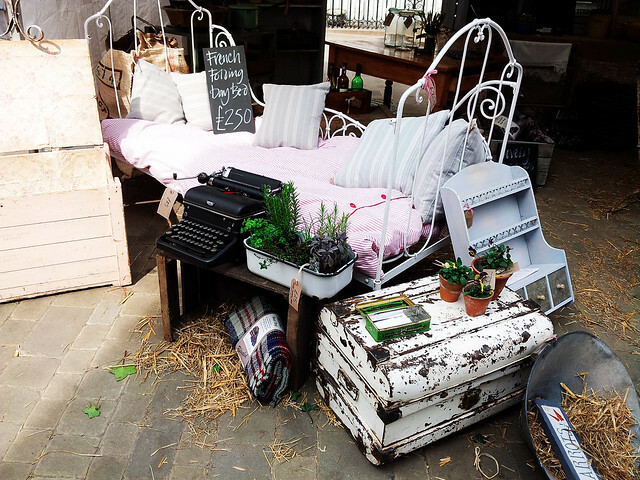 Love antique markets. Probably from when my family lived in Paris. The vendors always have the best stories. 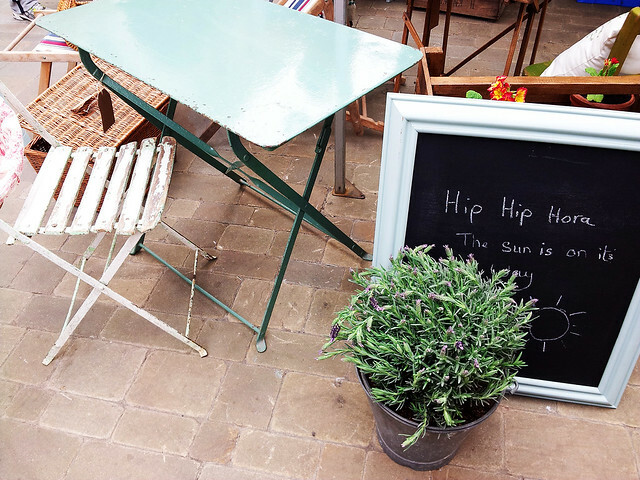 The antique markets in Provence and further south are real treasures. Really?! Lindsay, you can't leave me hanging here. Okay, I'm a scaredy cat too but do ask your friend about her research.